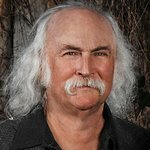 David Crosby has written an article for HuffingtonPost.com detailing his concern for dark money – funds used during election campaigns that are not disclosed to voters prior to voting. 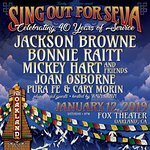 The Crosby, Stills and Nash singer is well known for his political activism, and has a new solo album coming out on Januaray 27. “Who are the men, who really run this land? Why do they run it with such a thoughtless hand?” wrote the singer. "Crosby, Stills, & Nash have been singing this song for many, many years now, and we’ve had enough. With the deluge of dark money flooding our elections, we feel that these questions have never been more important to ask. “According to the Center for Responsive Politics, “The amount of independent expenditure and electioneering communication spending by outside groups has quadrupled since 2006.” In 2012 alone, groups spent over seven billion dollars trying to influence the election and well over three billion dollars lobbying Congress. “The bulk of that money is coming from a microscopic percentage of super-wealthy corporations and individuals who see buying politicians as just about the highest return on investment they can make. “The vast majority of American voters — ninety percent — don’t give any money to political candidates. Of the ten percent of voters who contribute, the average donation is about sixty dollars. The average contribution from one of the top 100 corporate donors in 2012, on the other hand, was over five million dollars. Who do you think politicians really represent?